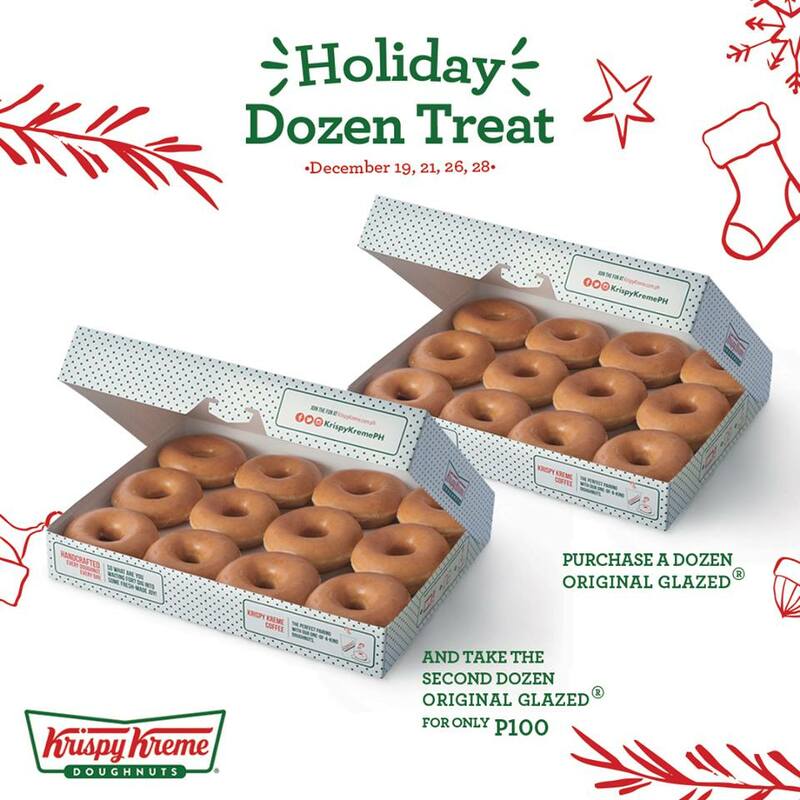 Your favorite glazed doughnuts will be up for a sweet sale from December 19-31, 2017 as Krispy Kreme brings back its Holiday Dozen Treat! Take one dozen Original Glazed doughnuts and get the second dozen for only P100! Available from 10:00 AM (11:00 AM in selected stores) to 1:00 PM only. Maximum of 2 sets per customer (4 dozens). Redemption is valid for dine-in and take out only. 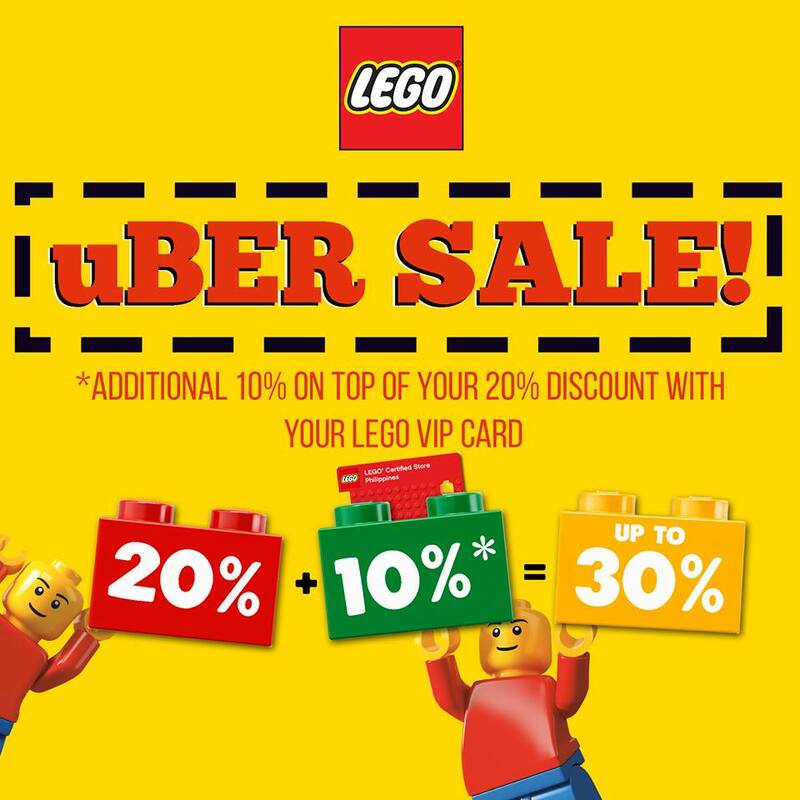 Not valid in conjunction with other promotions and discounts. Metro Manila branches of Tim Hortons have been selling Tmbits at discounts from December 1- January 7, 2018! 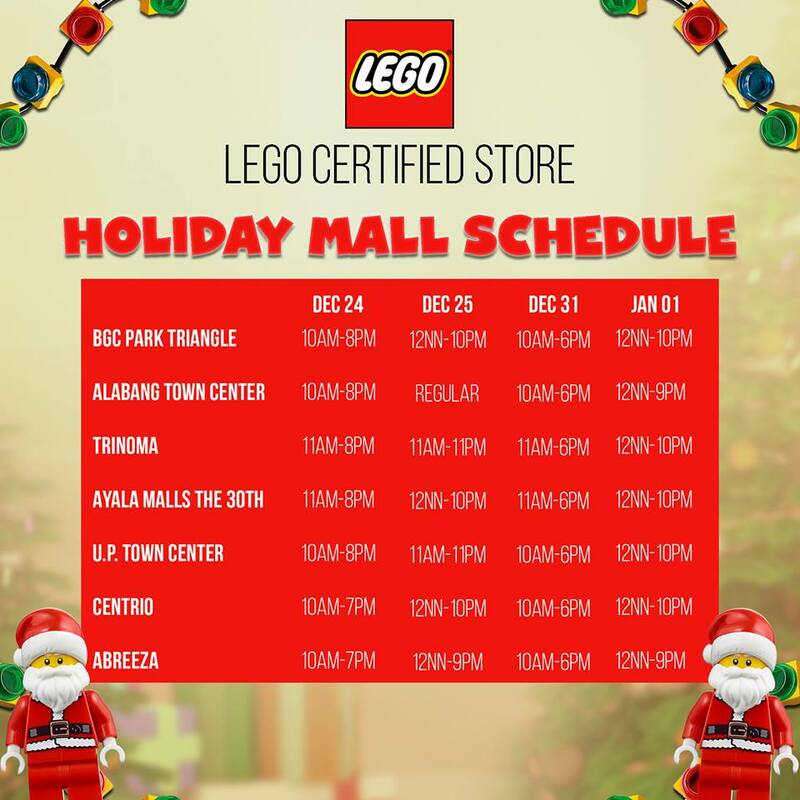 Three is your lucky number this December! 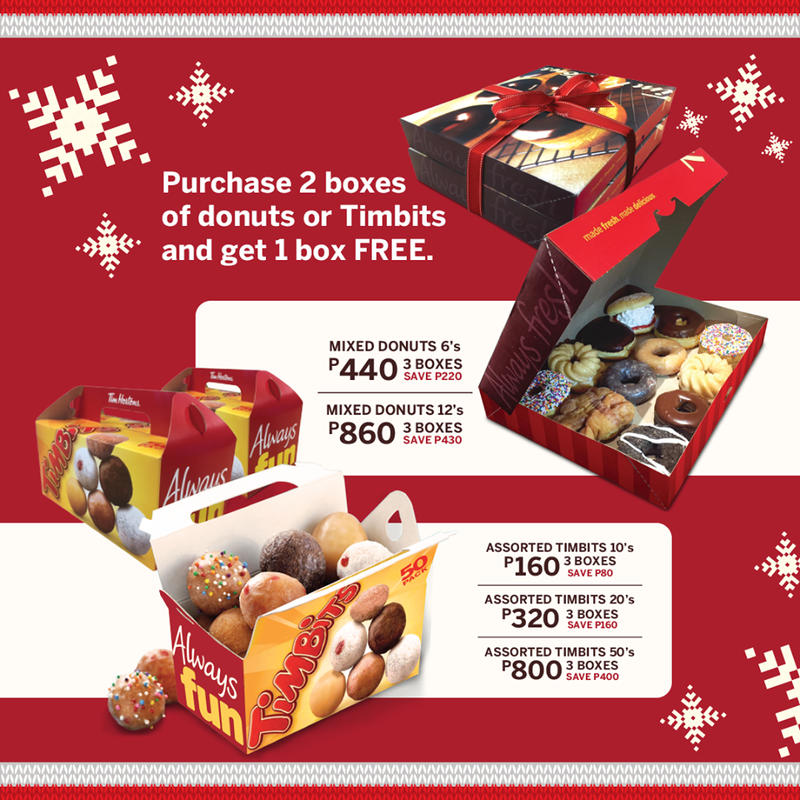 When you buy 2 boxes of donuts or Timbits, Tim Hortons will give you 1 more box of the same thing for FREE! 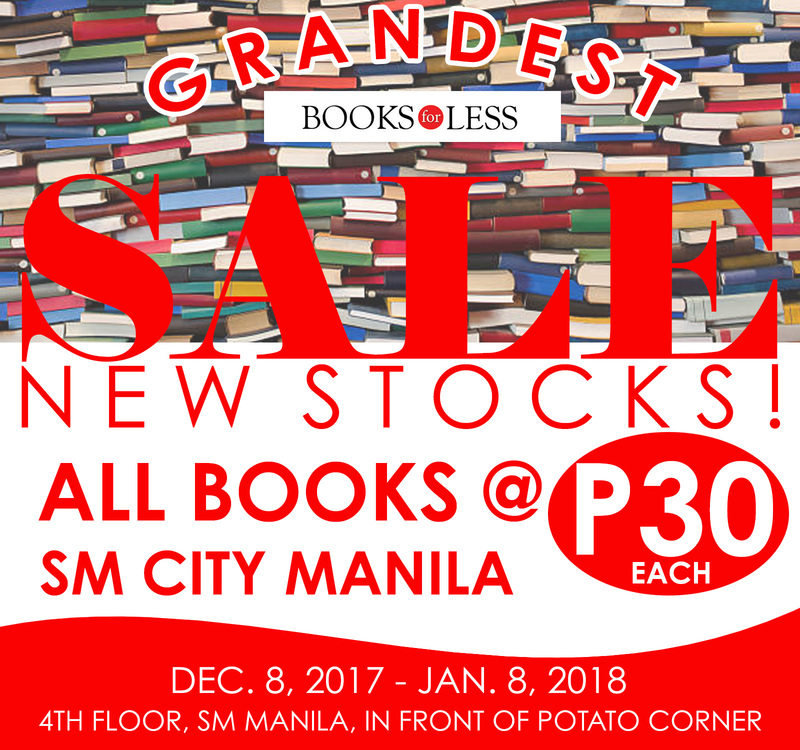 Books for Less (SM City Manila) has started its BOOKS FOR LESS GRANDEST SALE which ends on January 8, 2018. All books for 30 Php! This is the perfect time for individuals, as well as organizations, who want to donate books to less fortunate communities this holiday season by offering them the lowest price books. 5. 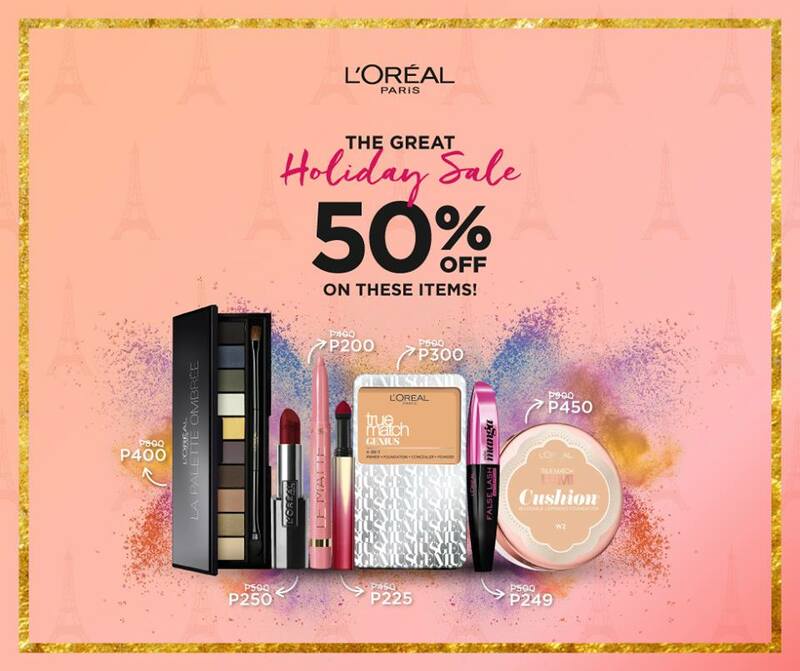 L’Oreal Paris Holiday Sale: Up to 50% Off! Enjoy up to 50% OFF on L’Oréal Paris makeup in L’Oreal Paris makeup counters nationwide! Be #PicturePerfect this holiday with their bestselling foundations, powders, lipsticks and eye makeup for as low as P200!!! Promo ends December 31, 2017.